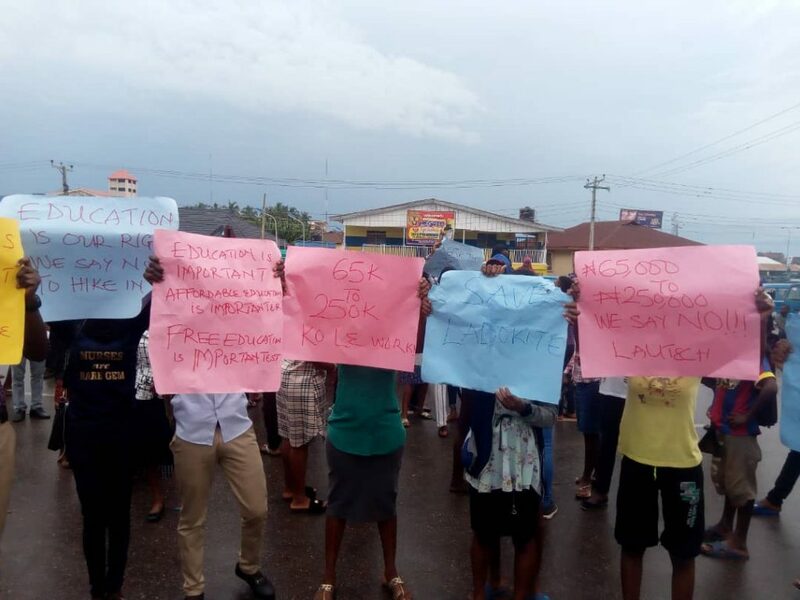 Several students of the Ladoke Akintola University of Technology, Ogbomoso went in mass to Oshogbo, the capital city of Osun state on Tuesday morning to protest the hike in the fees introduced to them by the university’s authority. According to Punch, the Oyo and Osun jointly owned institution has increased its school fees to about N250000 per student which is unacceptable by the students. The students said the new fee regime between N200000 – N250000, per student was unacceptable describing it as a manifestation of the insensitivity of the governments of the two states. So far so good, the protest was a very peaceful one and thanks to men of the Nigerian Police who monitored the situation to prevent hoodlums from hijacking it.